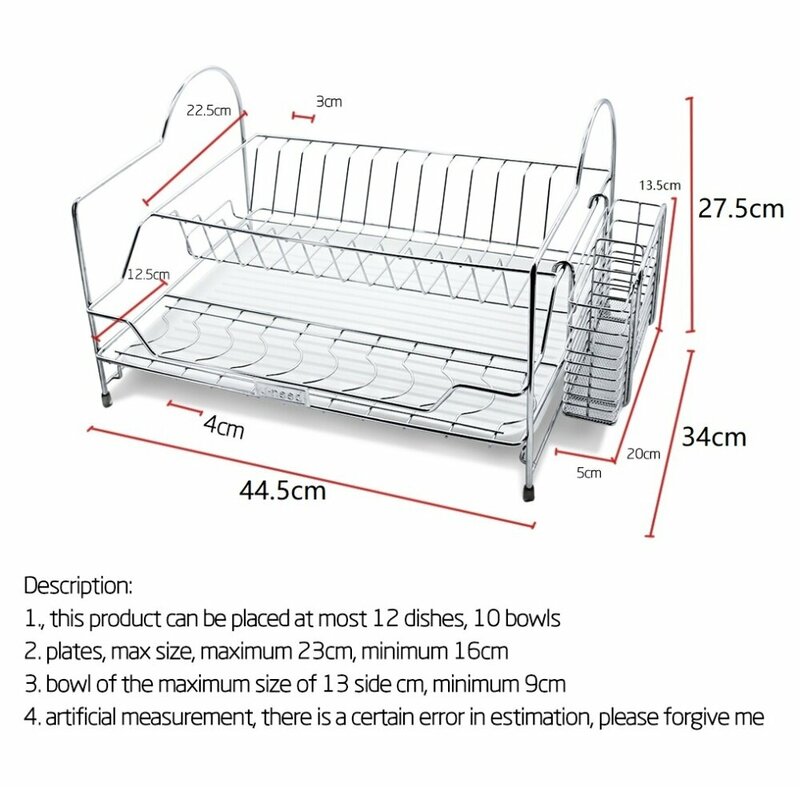 This durable stainless steel plate rack is large enough to hold many plates, cups, bowls, and eating utensils. 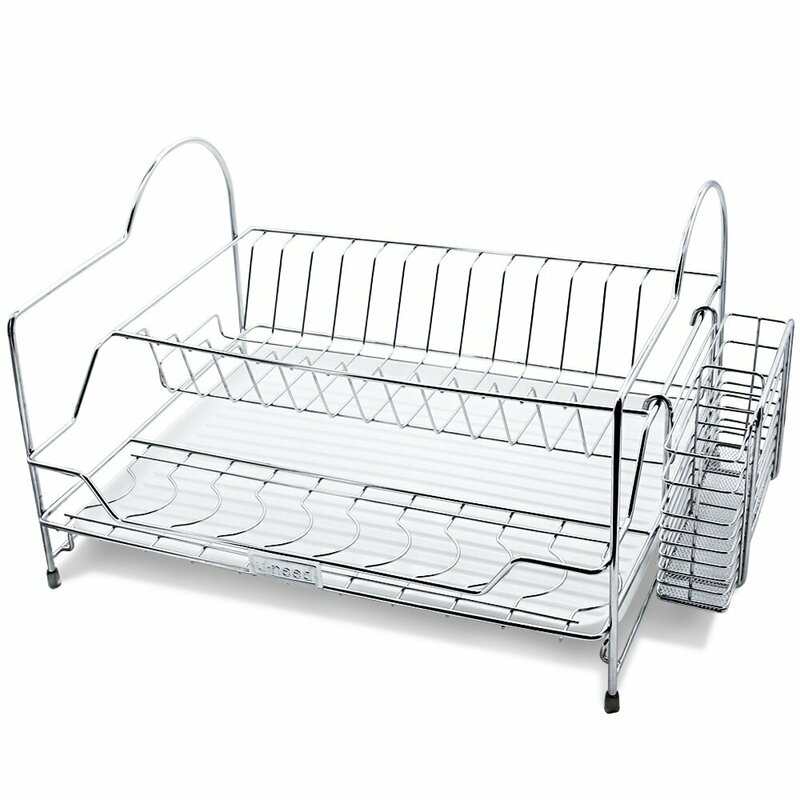 Dryer rack comes with drip tray to give you more space to stack your dishes. 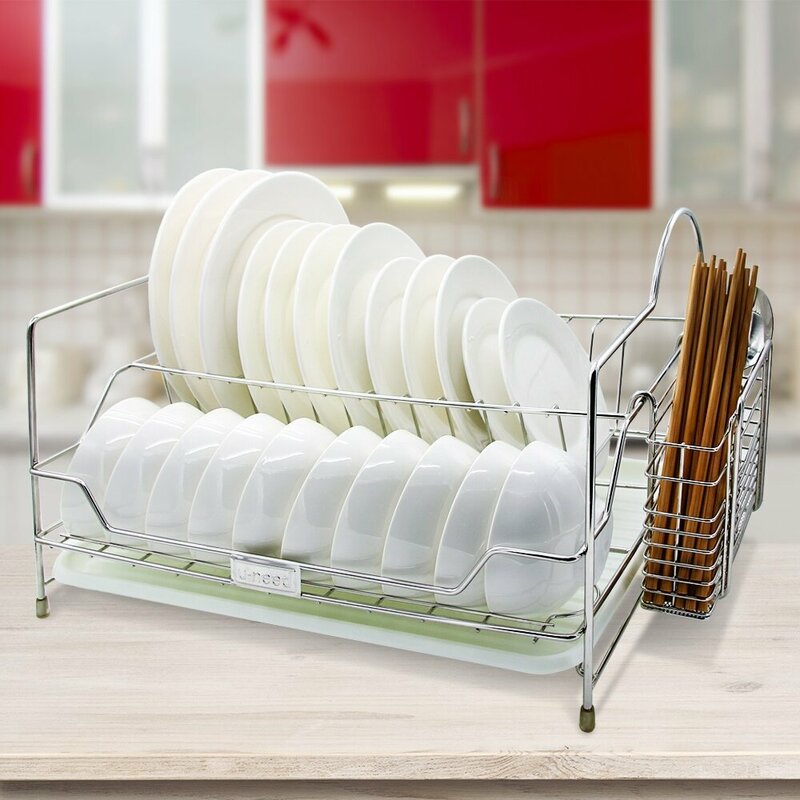 It works great because it comes with drip tray to catch all the excess water causing no damage to your counters. 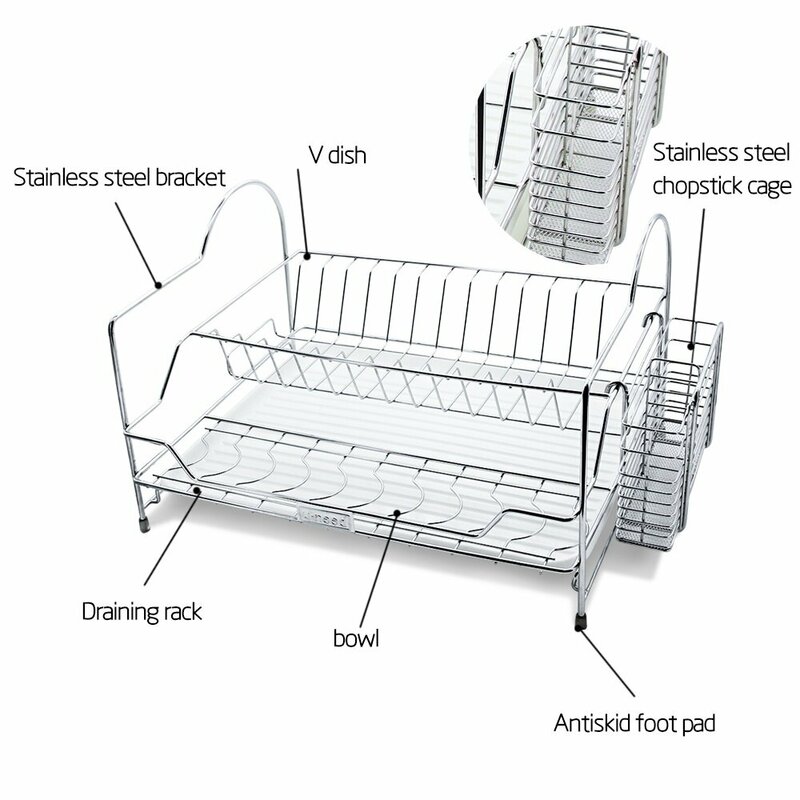 Practical design for modern kitchen.